Indeed the device look premium and beautiful, the screen is smooth and nice however the back is made up of average quality material. It’s a uni-body design and you need both the hands to use it. Battery life is decent and could last a day or more in average usage. However, in the same price range you can get a better choice from Lenovo, the Vibe K5 Plus or Redmi 3s from Mi. Coolpad’s intentions are good to bring a phone with good build and design that doesn’t look cheap, doesn’t compromise on some basic sensors, and available at a very affordable price. And they’ve done it, but not without sacrificing the engines that power the phone. The poor choice of processor and hence its clock speeds cannot be overseen just by throwing in a 3GB of RAM. You’d notice the lack of good touch sensitivity the instant you pick the phone and start using. Gaming and camera too aren’t good in their overall performance though the UI has some good options up its sleeves. Priced at Rs 6,999, the Coolpad Mega 2.5D offers quite good value for money with stylish design and looks and latest software. But the real problems for Coolpad Mega 2.5D is the average performance, camera, and not so great battery life. The Redmi 3S which is again priced Rs 6,999 definitely offers better value for money. But if you are looking for a large screen budget offering, Coolpad Mega 2.5D is definitely a good buy. The Coolpad Mega 2.5D could have been a good handset for Rs. 6,999 had the Redmi 3S not been launched, unfortunately for the price the Redmi 3S is no doubt a much better option. To sum up, we would suggest you to consider the Coolpad Mega if you are not looking for a small phone like Xiaomi Redmi 3S which we reviewed recently. 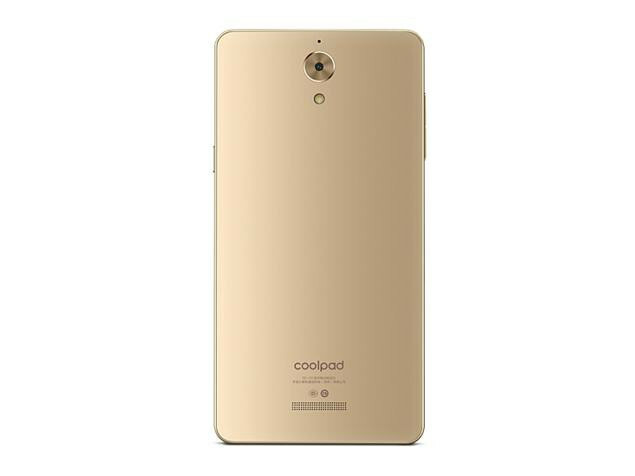 The Coolpad Mega won't disappoint you at Rs 6,999. Coolpad is also playing with feature sets to make them appealing to specific audiences, the selfie loving millennials being that in the case of the Mega 2.5D. Yes, performance does seem to have taken a back seat for the brand but not to a degree that would impede even casual use. At a price point of Rs. 6,999, the Coolpad Mega 2.5D is certainly worth taking a look at the next time you’re in the market for a new handset. Coolpad Mega 2.5D will be available at a price of ₹6,999 on a first flash sale via Amazon India. What we’ll miss in this phone will be the amazing fingerprint scanner other Coolpad phones offer and a larger battery capacity. The good thing is it comes with a classy look and a newer CoolUI 8.0. Coolpad Mega 2.5D comes with an updated CoolUI 8.0 based on Android 6.0 Marshmallow while other Coolpad phones remain behind in terms of the software. Selfie obsession is fine, and Coolpad Mega 2.5 manages to have a slight edge on the front for this price point. But for an overall performance, my bet is still the Redmi 3s because of the battery, which I think is a feature you can’t overlook when choosing a smartphone. Coolpad Mega 2.5D Review – Best Budget Smartphone? The phone has a MediaTek MT6573P processor which is a 1 Ghz quad-core chip and it is coupled with 3GB of RAM. Now, you cannot expect some top level performance with this thing, but as a normal day to day phone, this is a great phone to use. It might not be the most powerful phone in the market but we didn’t face lag while navigating through the interface of while opening or closing the applications.